That’s 52 runs off the 18th and 19th overs! World Cup squad picked tomorrow. Cameron Bancroft has changed from a lying cheat to a pious self promoter. Don’t know what he was smoking. We haven’t even announced a date on which we will announce yet. So far, New Zealand are the only team to have announced their 15-man squad for the ICC Men’s Cricket World Cup 2019, but the other nine teams are lining up their dates too. 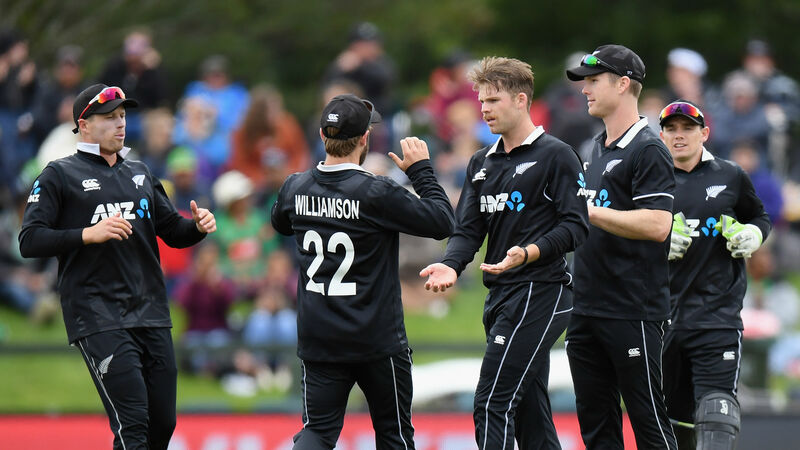 So far, New Zealand are the only team to have announced their 15-man squad for the ICC Men's Cricket World Cup 2019, but the other nine teams are lining up their dates too. Selection meeting but no announcement yet. Maybe further deliberation I guess. Crash Craddock reported on Tuesday that the selectors were meeting on Wednesday to pick the squad… He’s generally got pretty good mail, he and Peter Lalor are just about the only cricket journos I bother listening to for actual news. They were meeting to pick squad, but not finalised. Cant see them picking hazelwood. Only surprises will be if both Smith and Warner play, who misses out? Suppose it’ll be down to Marsh, Khawaja or Handscomb. I take it as a given that Turner won’t make the squad. Marsh should miss from those 3 but given his name is Marsh he will be the first picked. Wish we had given Handscomb the gloves in a few of the warm up games to see if he could do the job meaning Carey could be left out. Marsh should miss from those 3 but given his name is Marsh he will be the first picked. You mean he’s Cricket’s version of Scummo ? So on that assumption Handscomb misses then. You couldn’t possibly leave out Khawaja off the back of his form over the past 3 months. My concern is that once the heat goes on in the World Cup Marsh will either fail or get injured. This is how his entire career has played out to date, so I am not sure why it would change now. Our 2 best batsmen, who, like SMarsh both bat in the top 4, didn’t play for those 15 months. One would assume that they come straight back in. We can’t go into the tournament with too many top order batsmen, as it would leave us short of middle order and allrounder options; Finch, Warner, Smith, Khawaja, Marsh you’d say one of those last two will be unlucky and miss out. Maxwell, Stoinis, Handscomb, Turner and Carey should all play imo, but they won’t and 2 probably won’t be included in the squad. I really don’t know, it’s a genuine conundrum. Crash seems to think it’ll be Marsh to miss and Handscomb will be retained as back up keeper as well. Also suggested the selectors don’t feel any obligation toward Carey and may look at Handscomb to keep. Personally I don’t like it, spin is going to play a big part in this tournament, especially late on dryer late summer wickets, I think not taking a specialist keeper into those games is a big big risk. Nobody’s debating that. But Marsh hit 4 ODI 100’s in the 12mths to January. He was literally the only Aus bat to perform at all consistently, let alone dominate. I feel Khawaja and Marsh are basically the same player only difference is one bats at 2/3 the other at 3/4, both are diabolical in the field. Ideally, neither of them plays too many games as Smith, Finch and Warner are at their best. Handscomb’s versatility should get him a ticket to the UK; I’d have him keep in the early games just to have a look at his form with the gloves is. You’d still have Carey on the tour obviously, but Handscombs batting imo offers more. By not playing Carey it may allow someone like Turner to play the rear guard role, and I think he is much more dangerous in that position than Carey is.